Are you tired of “Green Networking Events” that focus more on socializing and job hunting than truly connecting you with fellow Eco-Leaders? So were we! As the producers of the nation’s leading Trade & Consumer Expos for Eco-Friendly businesses, we saw a great need for regional networking groups focused only on the executives working within sustainability. 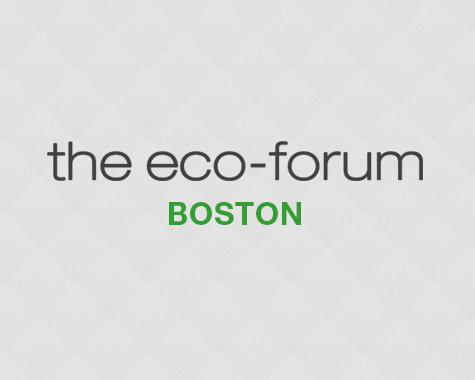 With a focus on building relationships and education, the eco-forum offers members powerful resources for growth, advancement and fulfillment. By bringing together innovative thought leaders, business entrepreneurs and senior executives from disciplines that intersect within the green space; the eco-forum presents a new approach to the realization of tangible business results. Admission is based on your corporate affiliation and will be granted strictly to C-Level Executives, Business Owners, CSR Executives, Sustainability Executives & Non-Profit Leaders. Please forward this along to the appropriate representative of your organization. Please click the link below to submit your application and purchase tickets. All applications are subject to our board approval before granting admission.